Healthy eating habits start early—that’s the conclusion of a November 2014 study by University at Buffalo pediatrics researchers. 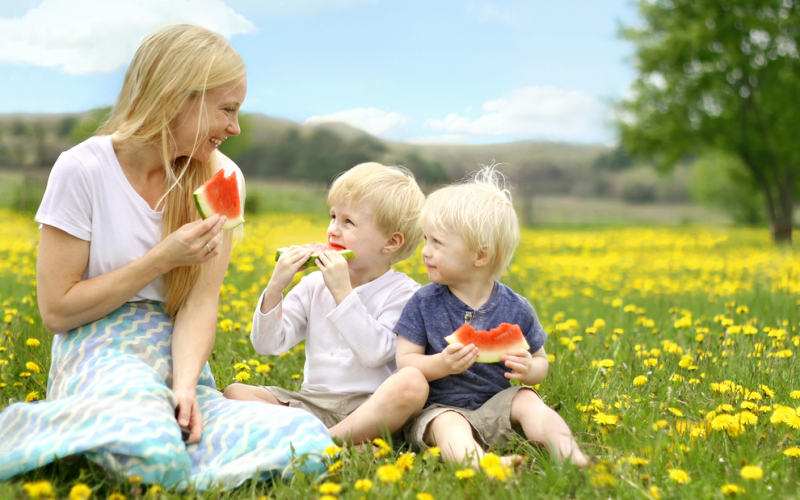 The scientists studied how different parenting styles affected a toddler’s eating habits. They found that parents with defined rules for what a child could and could not eat had children with healthier diets than parents who didn’t. Setting boundaries and rules in a child’s diet early had far-reaching effects: children with parental food rules were more likely to show self-control in their eating habits two years later than children who did not. Researchers presented their findings at the annual meeting of The Obesity Society and the American Society for Metabolic and Bariatric Surgery. One finding was that children whose parents did not have food rules drank soda more often than children who were not previously allowed sugary beverages. The study also looked at a how a child’s ability to self-regulate impacted food choices. Self-regulation, or the ability to delay a want or desire, is the same skill people on a diet or eating plan use to have success losing weight. The study found that children with the greatest self-regulation techniques and food rules made the healthiest choices as they aged from 2-year-olds to 4-year-olds. In the absence of early parental food rules, children were less likely to show self-regulation abilities and more likely to become irritable, fussy, or whiny in response to waiting for a certain food or when told they could not have a food. Eliminating soda in the home and as an option when dining out. Refraining from eating certain kinds of salty snacks or sweets or saving them for special occasions only. Eating at least one fruit and one vegetable at every meal. Eating fast food only occasionally, if at all, and not as an everyday occurrence. In addition to setting food boundaries, children responded best to modeling from their caregivers. Making healthy food choices and explaining why positive choices are important can help even young children understand the importance of nutrition. Involving children in grocery shopping or making a menu for the night’s dinner is a great way to promote healthy eating. Eliminating unhealthy choices from the home and stocking the shelves with fruits, vegetables, and healthy snacks gives children the opportunity to pick what they want without the distraction of junk food. Parents who create food rules/boundaries with toddlers are more likely to raise children with better self-regulating food behaviors than parents who do not. “Food training” includes setting boundaries, modeling good food choices, and creating an open dialogue with your child about healthy eating habits. Limiting fried salty snacks, sweets, and sugar beverages is recommended by the American Academy of Pediatrics. Soda and juice have no role in the healthy diets of children. American Heart Association. Top 10 Tips to Help Children Develop Healthy Habits. Healthday. Food Rules for Toddlers May Lead to Healthy Eating Habits. KidsHealth. Toddlers at the Table: Avoiding Power Struggles. University at Buffalo. Preschoolers Eat Healthy When Parents Set Rules About Food, UB Study Finds.